Tencent has really gone all-in on mobile this 2019! In their annual Tencent UP event, they announced a boatload of new games both for PC and mobile. So, what’s in store for us this year from the gaming and tech giant? We’ve made a list below to make it easier for you to choose which one’s you’ll be spending your hard-earned moolah and time for! Ace Force (Mobile) – originally known as “王牌战士”, the game is basically Overwatch on mobile. It already had a few test phases last year, and it boasts a number of playable characters like Spark who’s slow but is armed to the teeth with miniguns and a missile launcher, long-range rifle user Loong, Ghost the ambush sniper, and Butterfly who can use a jetpack to fly. Each of them is equipped with different skills and abilities. There’s also a number of multiple game modes to compete in as well. The Chinese beta is expected to start this year. The Outcast Mobile (Mobile) – the game is based on a Chinese comics of the same name. The story revolves around a college student named Chou Soran who was attacked by zombies while visiting his grandfather’s grave. A mysterious girl named Fu Hoho then suddenly appeared and rescued Soran. His life thereafter changed as he discovered the martial arts technique taught by his grandfather was under threat by other martial arts groups. This began his quest to uncover the history of his grandfather and his connection with Fu Hoho. The Outcast Mobile will feature four different clans with two unique characters, with most of them having characteristics inspired by eastern mythologies. There’s no release date just yet. Codename LN (PC) – “Land Next” or LN is the second battle royale game for PC that Tencent will be launching (the first one was Ring of Elysium already on Steam), and will have a blend of western steampunk and eastern Chinese setting, making it very unique indeed. The game is being developed by TianMei Studios, an internal development team of Tencent who helped make Call of Duty Mobile. The local Chinese media compared it to Apex Legends stating that the movements and gameplay are “pretty similar”. There’s no news about its home turf launch or when it will be releasing globally. 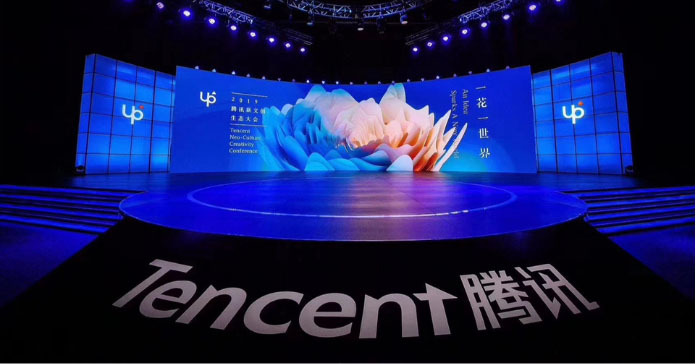 Tencent has proven time and again that they have the capacity to produce the highest-quality games. Not only are they branching out to different game genres, but they also tend to introduce new features and modes, which is quite different compared to other Chinese developers known to copy other games. That being said, they do have not-so-successful titles. So, which games among this list are you looking forward to? Let us know in the comments! Stay tuned to this page as well as we will be updating it once more information is available from Tencent! Next articleNexon reveals mobile game lineup for the first half of 2019!